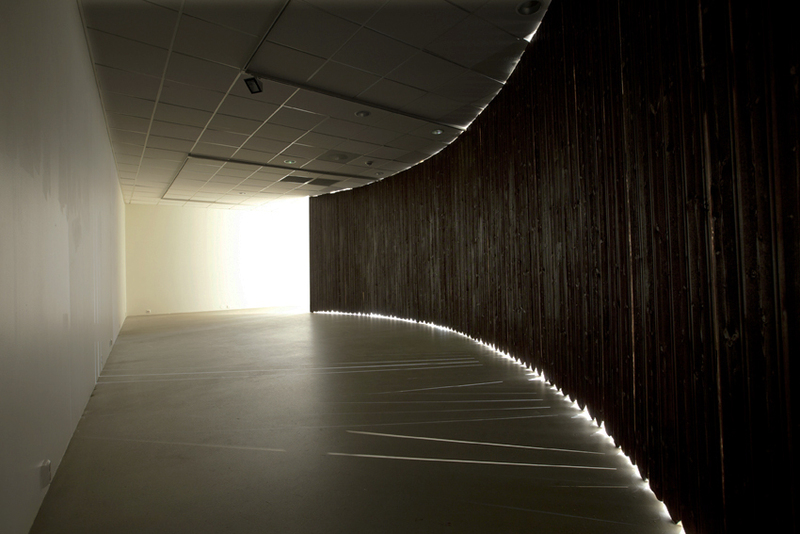 The installation Verging is a 14 meter long architectonic intervention built on site using ceiling mounted baroque panelling and veneer. 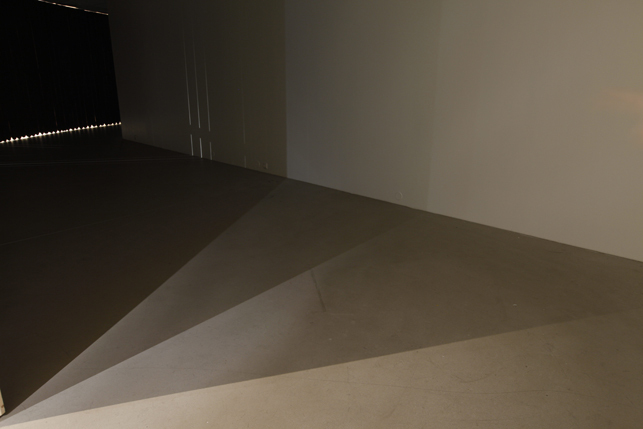 The piece is also shaped by lighting. 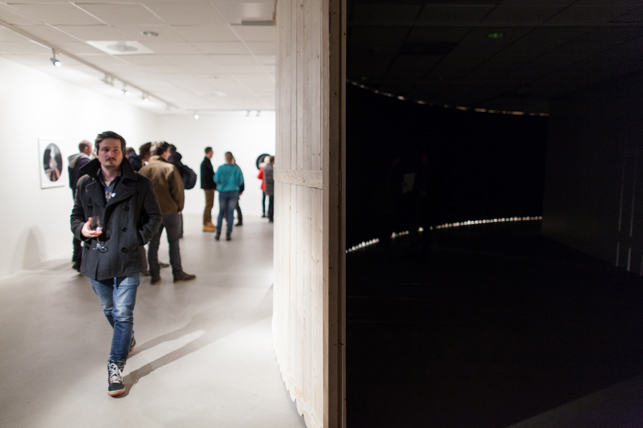 Verging allows a wood structure to come towards you in a darkened space. 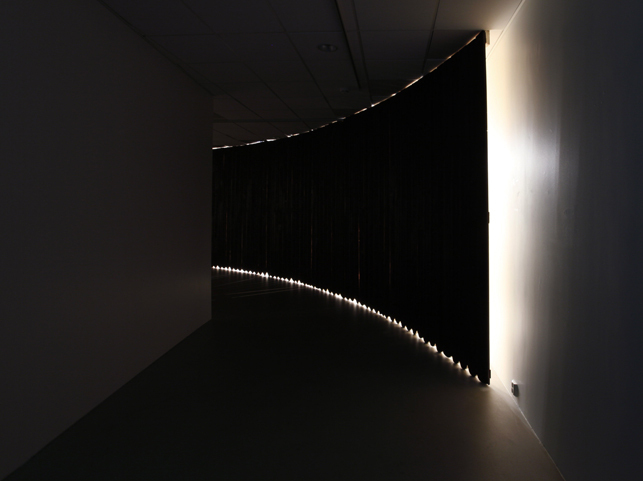 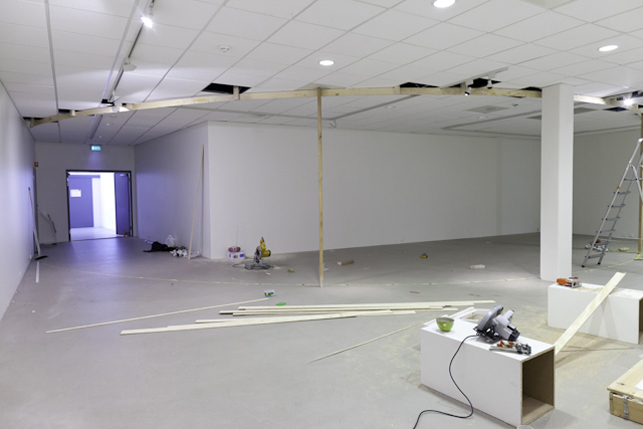 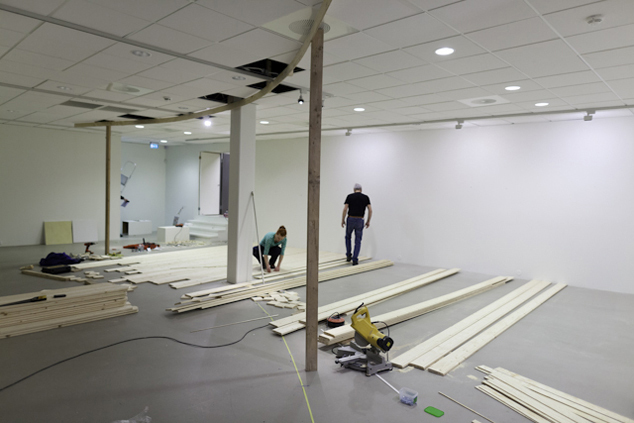 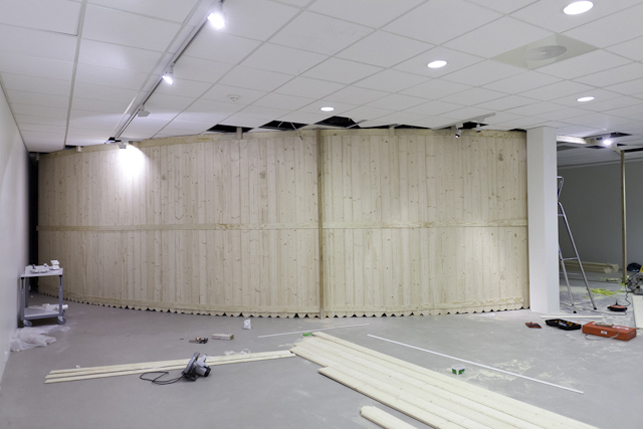 It curves through the gallery changing both the spatiality and its own appearance as we walk inside the installation. 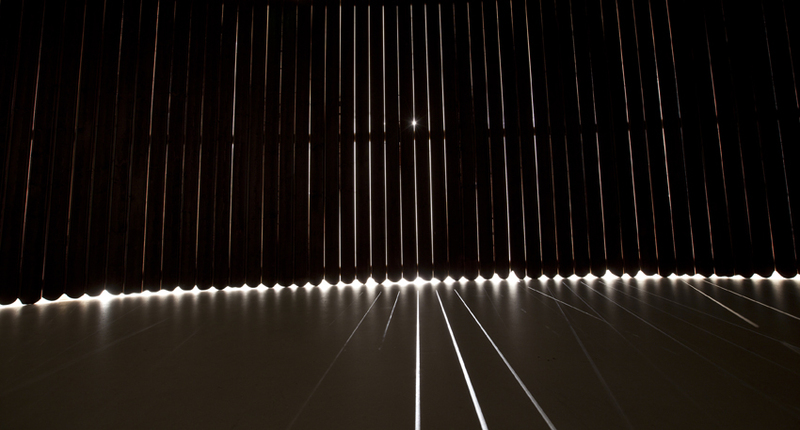 Walking along the wooden structure, beams of light hits the viewers as flickers from a moving image. The installation makes suggestions of a drape or stage curtain, a fence, a wall, creating a hybrid existence. 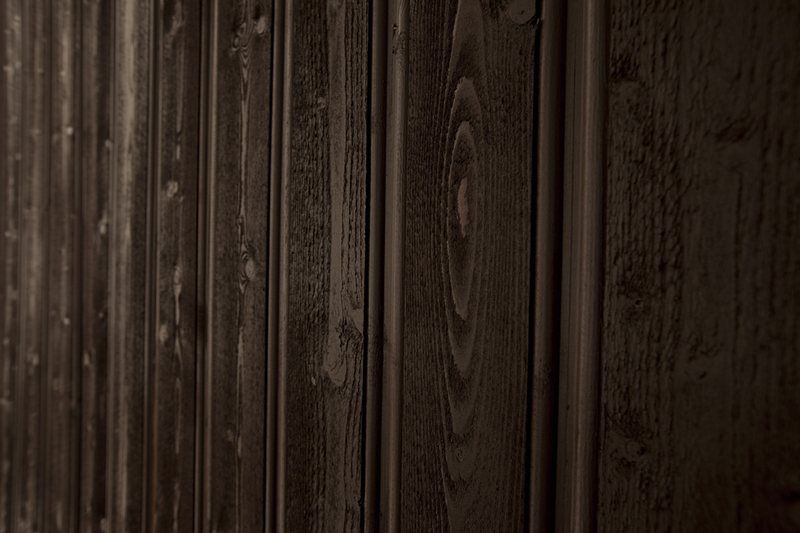 The wood is painted maroon red but appears almost black in the dark space, allowing the red tone to shine trough where the wood boards meet and the light from the back space flows through. 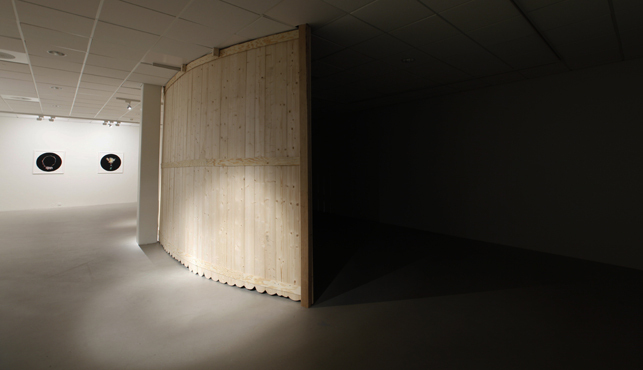 Where the dark space ends a bright lit space opens and the piece makes yet another shift.The wood is kept untreated here, hinting also at a theatre set. 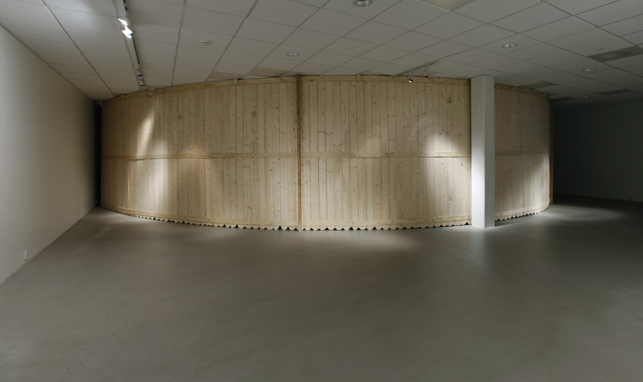 Verging was planned and made specifically for and constructed on site at NNKS in Svolvær. 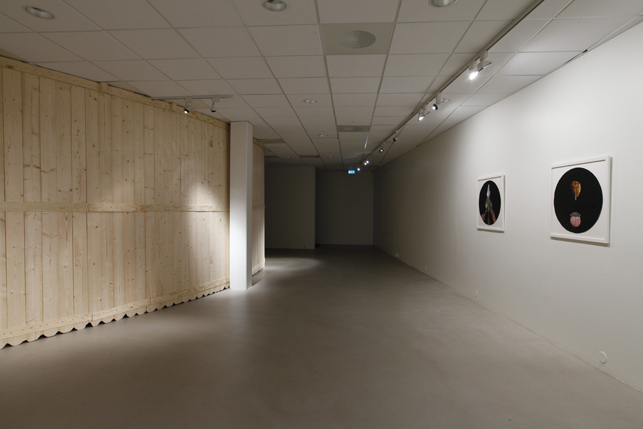 This installation alludes the baroque and theatrical qualities of the landscapes surrounding Lofoten and Nordland, with their dark winters and brightly lit summers this part of the world has a clear reference to notions of feeling on stage and off stage according to the changing of the seasons. 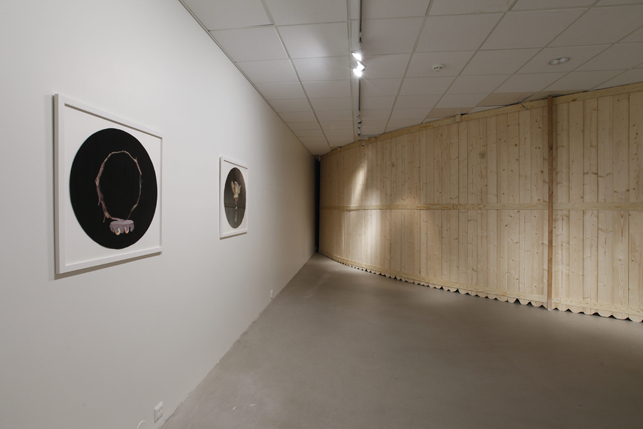 Maja Nilsen showing a series of framed collages: What has been will be again.